Oh Deer! | Gardens Alive! 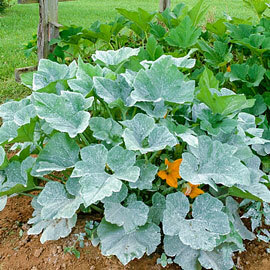 Surround at Home® Crop Protectant - 5 lb. Q. Mike: I recently moved back to the Midwest and bought a house on two acres. It's great, as we have many deer that come around. However, I want to landscape the yard. What can I plant that the deer won't eat or be harmful to them? I recently moved to Southampton, NJ, on the edge of the Pine Barrens, and find that many of my plants are cafeteria items for the local deer. I love Bambi as much as anyone, but can you recommend foundation plantings and shrubs that are not attractive to deer? A. Sure—but first I have to make fun of you both. Melanie—you're think it's GREAT that dastardly deer are casing your horticultural offerings? And you're afraid the poor little deeries might eat something that'll give them an upset tummy! All of our other listeners in deer territory are asking what they can plant that WILL upset those tummies—preferably permanently! And William—don't "love Bambi"! Yes, these giant stomachs with legs have big eyes and cute lashes, but they also eat six to ten pounds of arborvitae and rhododendron a day, kill hundred and fifty people a year in car accidents, and are threatening many wild plants and animals with extinction. You two need to think more Darwin and less Disney or your landscapes will soon look like Mount St. Helens on Day Two. Anyway—plants. The Mohonk Mountain House in upstate New York (where they got more deer than trees—and they got a LOT of trees) has produced a detailed record of the annuals, perennials, trees and shrubs on which deer have declined to dine over an 18-year period at the lushly landscaped resort. Now a word of warning—once deer have finished off their preferred plants in an area, they won't stop eating; they'll move on to less-liked lovelies, like these. But filling a besieged garden with plants that deer will eat LAST is a great tactic. Ageratum, begonias, cleome, foxglove, snapdragons, vincasand fouro'clocks are among the more than 70 annual bedding flowers on the list, along with Baby's breath, StrawFlower, Lantana, phlox, salvia, marigolds, Sweet Alyssum, scented geraniums, Love-in-a-mist, verbena, and zinnias. Perennials? 70 of them too, including Yarrow (whose daisy-like flowers attract lots of beneficial insects), Lily-of-the-Valley, Bleeding heart, Japanese and SiberianIris, Primrose, Peonies, Obedient plant, and Veronica. And if you're tired of seeing your precious arborvitae and azaleas eaten to the ground, consider replacing them with some of the more than 75 trees and shrubs found to be UN delicious to the beasts—like Service berry, Butterfly Bush, English Hawthorne, Mountain Laurel, Boxwood, Blue Spruce, Spirea, Snowberry and wisteria. Q. Mike: For the last six years, I would fill a cut-off pantyhose leg with hair from the barber shop, spray it with "Hinder" and hang it on my six foot fence; no problem with deer or rabbits. This year nothing would stop them. I know that deer could easily jump over a six-foot fence, but they didn't before. They have taken off all the leaves of my plants from six foot down. How many years can trees survive this? 1) Erect a fence eleven inches taller than Shaquille O'Neal. The experts at Cornell University's Cayuga Heights Deer Project warn that for a fence to be an "absolute barrier" it must be a full eight feet tall. All professional deer fence is this height. 2) An alternative they call "not guaranteed but suitable": Install three foot high animal fencing, then run a series of three single wires overtop at foot and a half intervals; this will keep most deer off your property with a lot less fence visible. 3) The Cornell researchers say your best non-fence bet is a dog. Deer fear dogs, and dogs like to chase deer. Studies have found that dogs kept inside deer-plagued property lines by an invisible fencing system are a very effective deterrent. 4) 'Spray on' repellents. The researchers at Cornell say to begin using them NOW—in the Fall, before deer start feeding in earnest. Reapply the sprays at least every four weeks; and ROTATE back and forth between several different types over the course of a deer-dining season. An alternative to spraying every leaf is to string a clothes line at a height of 30 inches in front of the plants you wish to protect and soak the rope with repellent. Products felt to work the best include: Deer Away, a 37% solution of classically stinky putrescent egg solids; Deer-Off, a combination of stinky egg smell with hot pepper and garlic; Liquid Fence, which combines eggs and garlic; and Hinder, an ammonia-based repellent that can also be painted on trees to prevent rabbits nibbling the bark. PLEASE! Do NOT use mothballs (highly toxic to you) or coyote, fox or other predator urines (harvested in a very cruel manner). Neither control seems very effective either. 5) I've personally had very good results with the "Wireless Deer Fence". Available directly from the manufacturer via the web (www.wirelessdeerfence.com), these stakes use scent pellets to attract deer to the electrodes on top, which convey quite a shock via a capacitor powered by two double AA batteries. As with an electric fence, shocked deer remember their bad experience at your place and eat someone else's tulips and azaleas. 6) Lay heavy metal fencing or sheets of corrugated metal on the ground completely around the area you wish to protect. Deer are reluctant to crossover such a barrier; it's a great way to protect an area where straight-up fencing is not an option due to looks or solid rock where you'd pound the posts. You'll also need some 'florist block'; the green foam material used to hold cut flowers in place in arrangements. Its 'real' name is "Oasis" and you can buy it from florists (d'uh! ), or at craft stores or bigger garden supply centers. The final ingredient is ammonia, which I'm not especially fond of, but we're not using it directly on plants, we're diluting it quite a bit, and—perhaps most importantly—we're using it to repel deer, for which I believe there are exclusions in most nuclear arms treaties. To be safe, mix everything up outdoors where the fumes will be able to dissipate rapidly. If you have strong objections to using harsh stuff like ammonia, you can try skipping that part and see if it still works. Mix 2 ½ pounds of blood meal (half of a 5 lb. bag) into a normal size bucket that's about half to 2/3 full of water. Stir well, add 1 cup of ammonia (or, you know…), and keep stirring. Cut the florist block into big cubes and place each cube on a three-foot tall stake (just the right height for the cubes to end up about 28" (browsing height) off the ground after you stake 'em into the ground). Dip the staked cubes into the bucket and let 'em sit there for awhile and get really saturated. Then place the stakes about six feet apart around plants you wish to protect. Re-saturate the cubes every couple of weeks or after a really heavy rain. The Cornell Department of Natural Resources has lots of recommendations for deer control strategies, including even MORE lists of deer-resistant plants and reviews and sources for fencing, repellents and VERY detailed fencing advice, great comparisons on a huge number of repellant formulas.